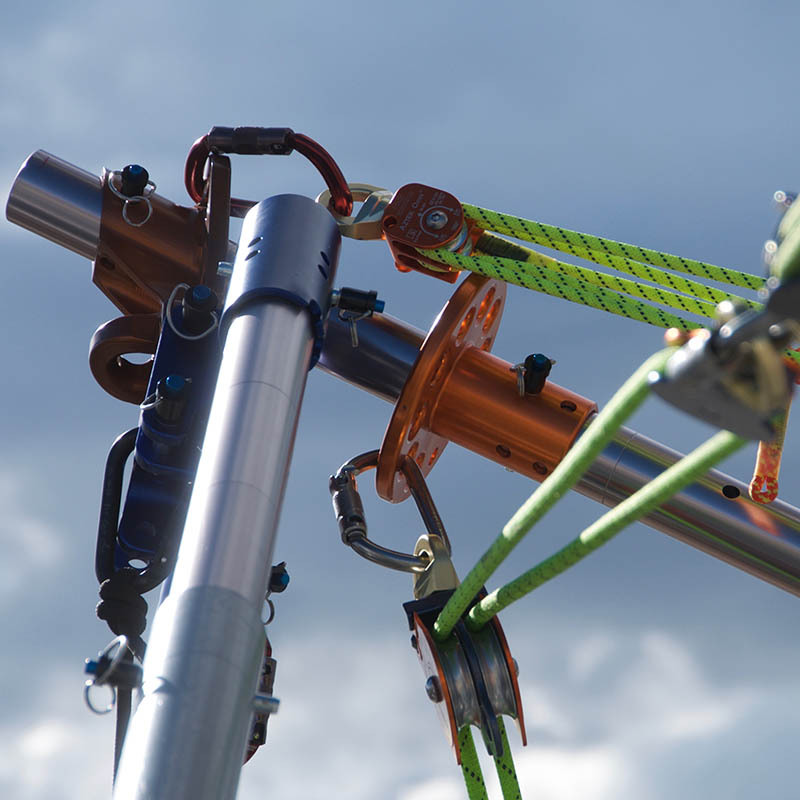 ROPES THAT RESCUE has a consistent reputation of serious rope systems analysis and rescue systems inquiry. Courses are kept very small-one facilitator resides over most and the cost for these intensive courses is surprisingly low! This rigging school is very different from any others you have been to before. RTR is both a comprehensive rope rigging school and a rope access consulting firm based in Arizona with programs around the US, Canada and Australia. Recognizing the need for advanced-level train-the-trainer instruction on the use of any "artificial high directional" (AHD), RTR has developed the 7 day ARTIFICIAL HIGH DIRECTIONAL WORKSHOP suitable for fire emergency and rope access professionals. From Reed Thorne, the designer of the Arizona Vortex Multipod, this AZVIW is meant to assist the rope rescue instructor with information relative to the use of manufactured high directionals. This workshop would be suitable for ANY manufactured or improvised high directional (not including wood frame) including the Larkin Frame, SMC Terradaptor, or Ferno Aracnipod (students requesting training on these AHD are required to bring these devices with them to their program).